The Rebel Sweetheart. : UP Los Banos | Bring Back the Peace to my Sweet Home eLBi! UP Los Banos | Bring Back the Peace to my Sweet Home eLBi! I practically grew up in Los Banos. I studied there for eight years - four years of secondary school in UP Rural High School and four years of college at the University of the Philippines - making eLBi (a colloquial term for Los Banos) my second home. 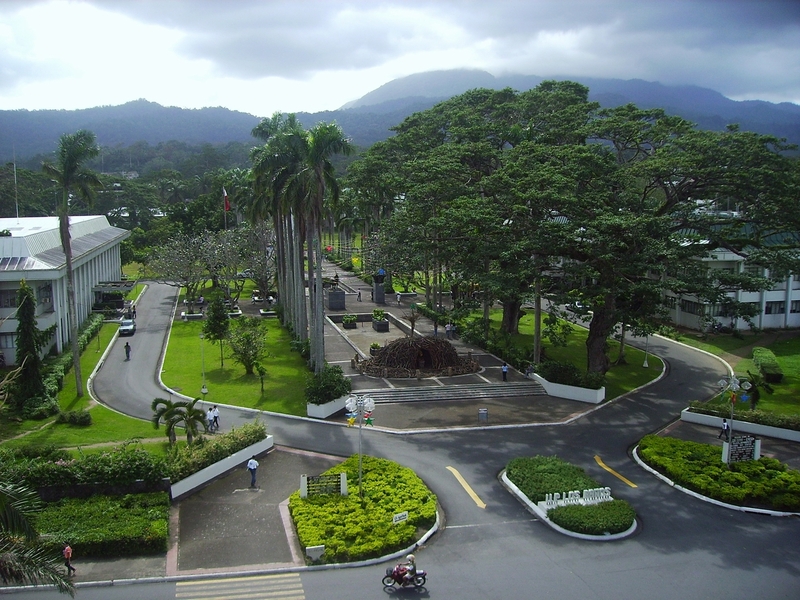 Panoramic view of the UPLB campus. Whenever I hear the words 'UP Los Banos', 'UPLB', 'eLBi', or 'Los Banos', a wave of nostalgia always hits me. eLBi has stood witness to a lot of momentous events in my life. This is where I've forged lifelong friendships, met my first love, had my first kiss, encountered my first heartbreak, made solid alliances, built my dreams. Facade of the old UP Rural High School. This place holds a special spot in my heart. It always has, and always will. My turf - the UPLB College of Development Communication building. I have nothing but fond and happy memories of this wonderful, little town. Of what once was a quiet and peaceful town. I said once, because it's no longer the serene hometown that it used to be. A string of heinous crimes over the past few months (the latest of which was last Saturday) has caused unrest among students, teachers, eLBi locals, and even alumni like me. I am saddened that innocent kids died meaningless deaths, enraged that good-for-nothing evil doers took away their dreams. As a mom, I worry for the safety of the present Isko's and Iska's (that's Iskolar ng Bayan, a term for UP students), and I empathize with their parents who are even more worried for them. I am dumbfounded by the kind of security the UP Police and Los Banos Police provide to the community. And I am flabbergasted and disgusted with the town's present administration, and the physical absence thereof. It breaks my heart knowing that my haven away from home is now shrouded by fear and gripped with indignation. 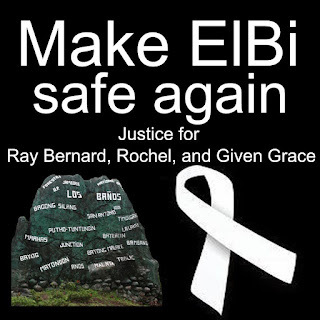 I demand justice for Ray Bernard, Rochel, Given Grace, and all the other victims of these ruthless crimes. I pray for the grounds of the UP campus and the streets of Los Banos to be safe again. That the peace and tranquility be restored to my sweet home eLBi. Grabe no, kakatakot na sa LB ngayon. Samantalang dati kahit dis-oras ng gabi nakakapaglakad pa ko sa Grove or sa Umali. It's sad, these things happening lately. School is supposed to be the second safest place after our own homes. I hope this is a wake up call to enforce more diligent security measures not just in UPLB but in all campuses. oh dear, i'm sorry to hear about this sis. nakakatakot naman. dami na palang krimen sa lugar dyan. keep praying and God will do the rest.